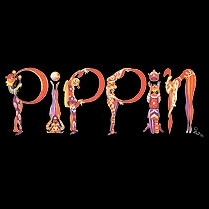 The idea for the musical Pippin was sparked when Stephen Schwartz was in college at Carnegie Mellon. He learned the story of “Pippin the Hunchback,” a prince who launched a campaign against his father, Charlemagne, during the middle ages. Upon graduation, he pitched the show to Harold Prince, who recommended that Schwartz add a section that takes place after Charlemagne’s murder. Pippin evolved into a story about a young man trying to find himself and his purpose -- written just as Schwartz was struggling to find his own.